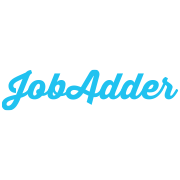 JobAdder is the leading provider of cloud based recruitment software in Australia and New Zealand. We are a rapidly growing business with over 1000 customers in Asia Pacific and expanding internationally. We are all about simplifying he recruitment and hiring process and helping recruiters, hiring managers and job seekers to have a better hiring experience. Our system is completely web based and accessible from any browser or mobile device. You are a super smart, highly energetic graduate or Junior Developer looking for that role that will kick start your bright career. You have a Computer Science or related degree and may be a fresh graduate or have up to 3 or 4 years commercial work experience but have not found quite the right role yet. Your friends would describe you as a positive person. You are self motivated and love nothing more than meaty challenges and problems that you can get your teeth into. You are looking for a work place you can call home. You may have had a series of discouraging or unsatisfactory roles and are desperately seeking that place where you can put down roots and become part of a family as well as a team. We provide awesome web based recruitment software and even better customer support to our clients. You will be part of the Customer Support team and will be involved in supporting our clients with any technical and web development related enquiries. You will also be a Developer in your own right, working on the JobAdder.com website and numerous other products. You will help our customers install and configure jobs engines on their websites, as well as install and manage a wide range of Apps and Add Ons that we have developed. These include browser extensions, web apps, mobile apps and more. JobAdder is a very unique company in that we care first and foremost about creating and maintaining an awesome place to work. We all want a job and office place where we love coming to work and experience immense satisfaction in what we do. We make money to facilitate this, not the other way around. We provide a wide range of training and personal development and you will quickly learn more in this job than you thought possible. Our offices are the best you will see and we have a beer garden, well stocked fridge, harbour views, and most importantly we are a short walk to the ferries, Wynyard and Circular Quay station. Please click APPLY NOW via this page and your application will go straight to JobAdder. JobAdder will respond to ALL applicants. Interviews will be begin next week and they will be moving as quickly as you are able to.